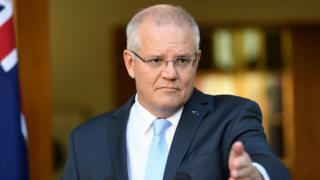 "[The election] will determine the economy that Australians live in, not just for the next three years, but for the next decade," Mr Morrison said at a press conference on Thursday. "We live in the best country in the world, but to secure your future, the road ahead depends on a strong economy," he said. "That is why there is so much at stake." Unlike many other global democracies, Australia has mandatory voting for people aged 18 and over - or they risk a fine. It ensures a high turnout: 95% of people voted in Australia's last election. The most recent US and UK elections, by contrast, drew an estimated 55% and 69% respectively. In doing so, Mr Morrison became Australia's fifth leader since 2013. 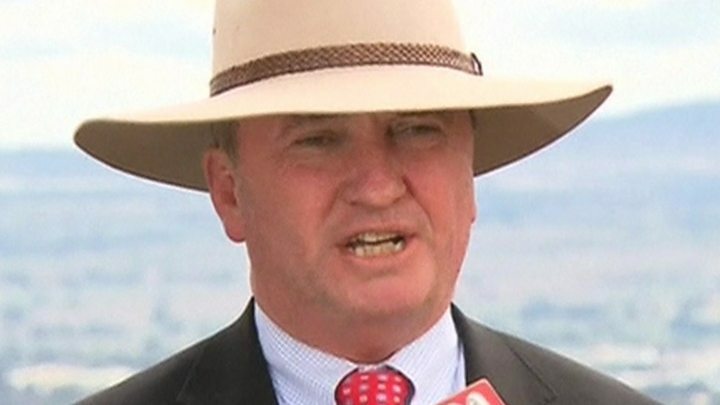 "It was a peculiarly Australian form of madness," Mr Turnbull told the BBC in March, speaking about a coup culture which began with Labor in 2010. It's likely to harm the government's standing with voters, predicts Prof Sally Young, a politics expert from the University of Melbourne. "They're sick of the sniping and undermining," she says. "Knifing a leader - it never goes down well." 3. Climate change could sway votes - but to what extent? Australia has just endured a year of extreme weather events, including destructive floods, bushfires, cyclones and a severe drought. The past summer was the nation's hottest on record. Last year, the government scrapped plans to set an emissions reduction target in legislation - prompting fierce criticism. "Australia's lack of action [on climate change] internationally is becoming more recognised within this country," says Prof Young. The University of Sydney's Prof Marc Stears agrees, but says it's unclear how widely it will affect voting decisions. Prof Stears says the major parties are already talking up their traditional strengths. That's subjects like jobs and infrastructure for the government, and health and education for Labor. Although Australia's economy is the envy of many countries, wages growth is flat, and there is a generational split in attitudes to house prices. Political observers say he faces challenges from the left and right - a debate that is often framed in geographical terms. During past elections, Australia's major parties have employed tough rhetoric on immigration issues - particularly regarding asylum seekers. That debate resurfaced in February, however, Prof Stears believes that last month's New Zealand mosque attacks may see politicians tone down such rhetoric. In February, Mr Morrison said a "state actor" had carried out a cyber attack on the parliament and political parties. 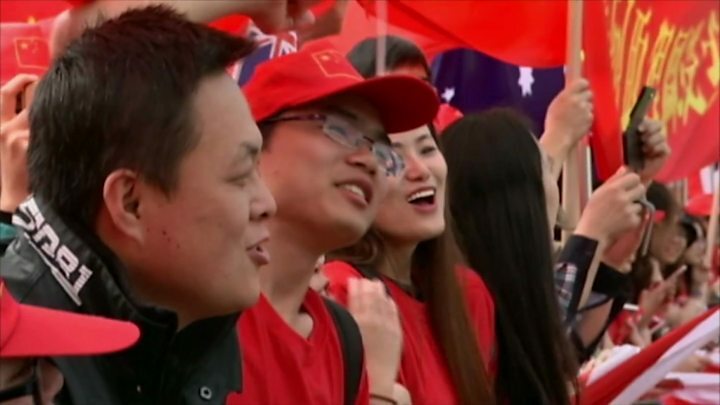 Media captionIs China trying to influence Australian politics? The saga sparked comprehensive checks of MPs' statuses. 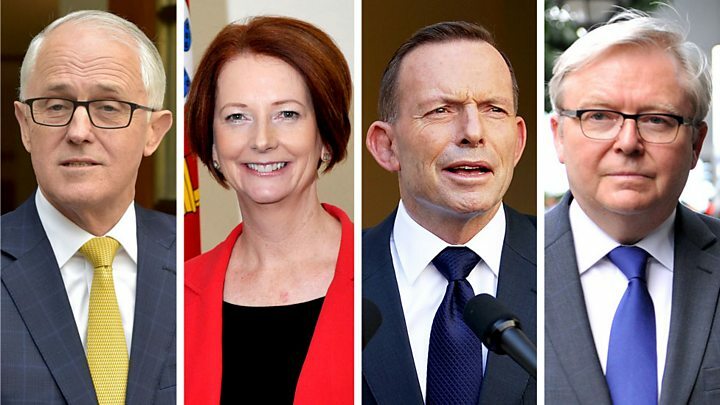 Australia election: Why is voting compulsory?